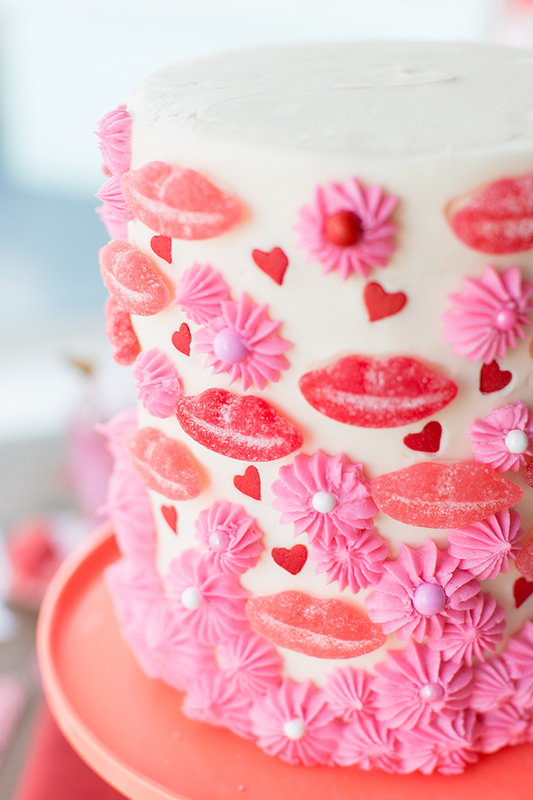 Pink, red and sugar-coated candy lips… oh my! 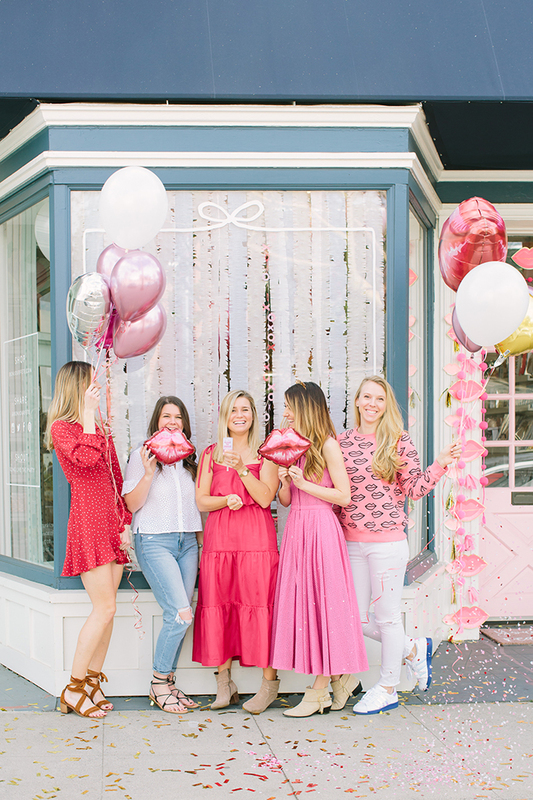 In case you thought Valentine’s Day would simply come and go without a party here on LaurenConrad.com, today’s blog post will find you sorely mistaken. 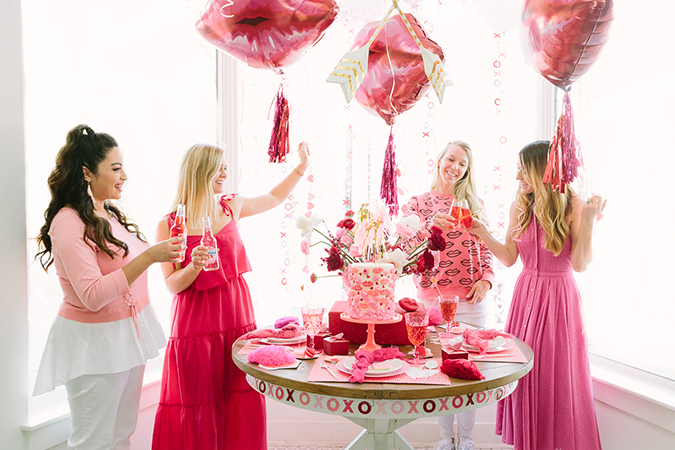 Today we’re sharing a fabulous ‘Lips Like Sugar’ Galentines party we planned with our friends and party planners extraordinaire, Royale of But First, Party! and Rachel of Bonjour Fête. 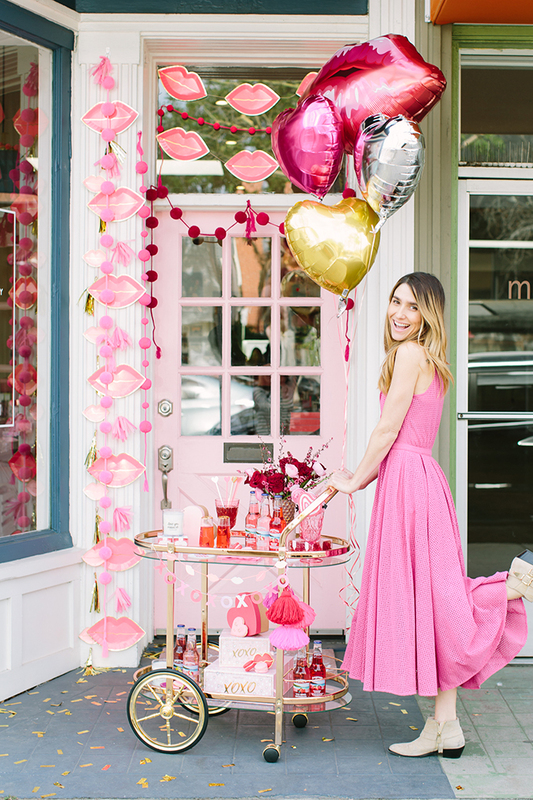 Rachel’s Los Angeles party store served as the light and bright location of our shoot, and we teamed up with some of our favorite ladies in the industry to create a red and pink explosion of fun. 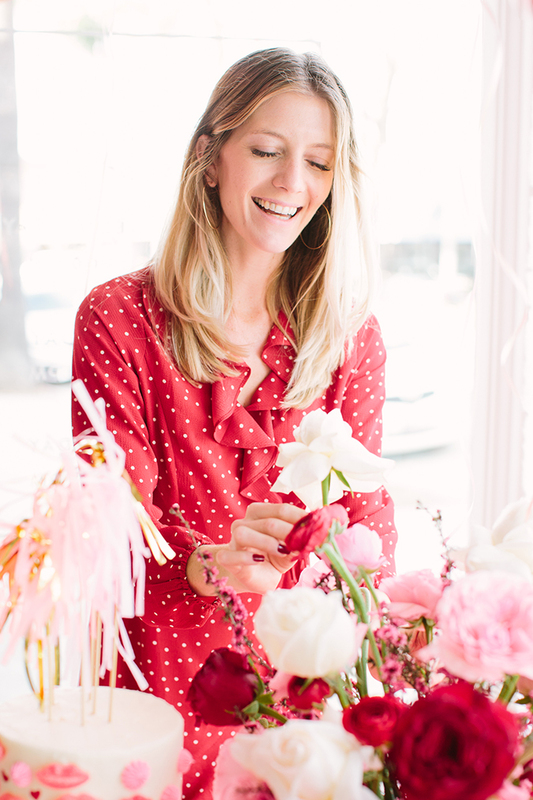 From Lauren Lowstan’s treats to Earth Baby Flowers bouquets, this soirée came together better than we could have imagined. 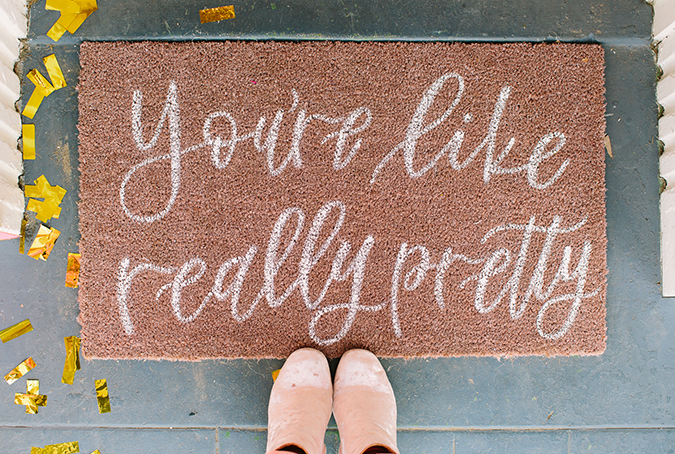 We’ll hand it off to Rachel and Royale, who will tell you a bit about the inspiration behind our day. 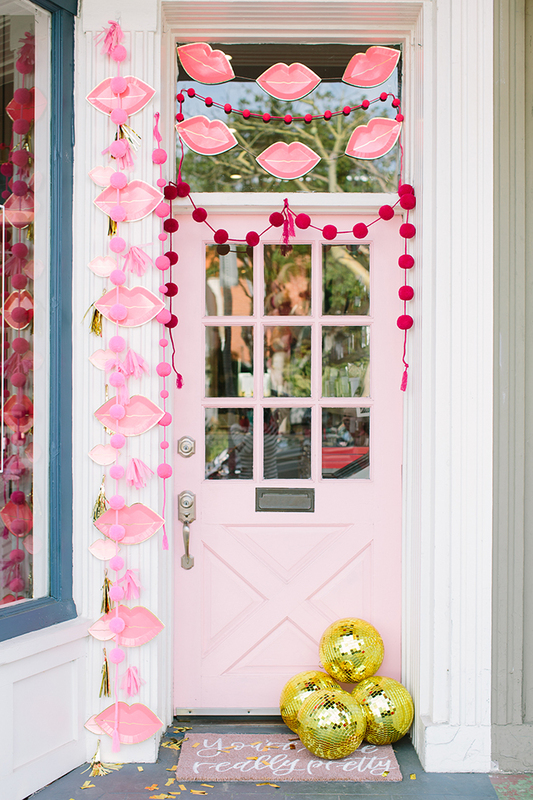 Keep scrolling to read more and see all the fabulous photos! Hey everyone! It’s Rachel and Royale here. 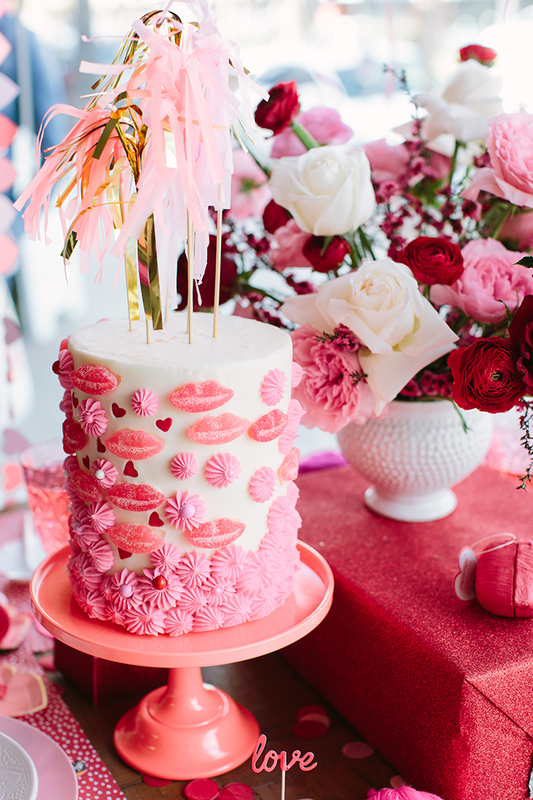 Whenever we plan a party, we always start with one main source of inspiration, and for this party, that came in the form of these amazing lip plates from Bonjour Fête. 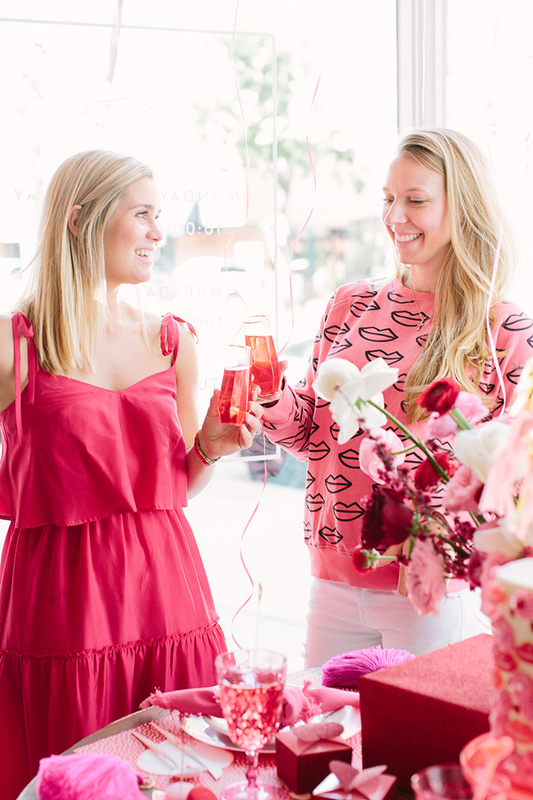 We rarely venture into a red color palette, but seeing as how Valentine’s Day is coming up, we had to kiss the rules goodbye and just go for it. 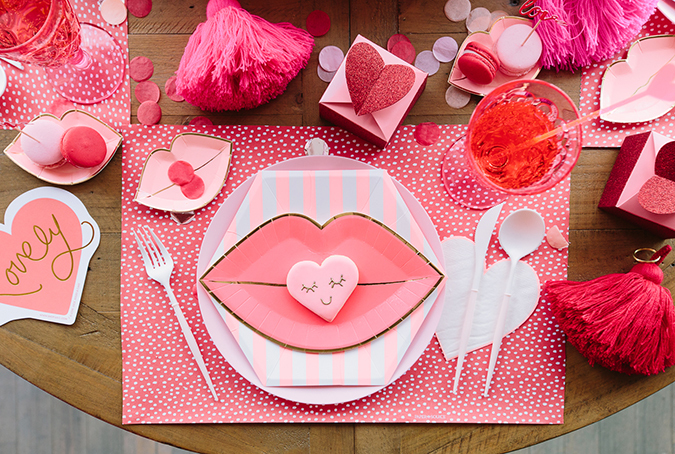 And by go for it, we mean lips, lips and more lips! For the place settings, we used these l’entramise blush-colored dinner plates and chargers (can you believe these are single use?! ). 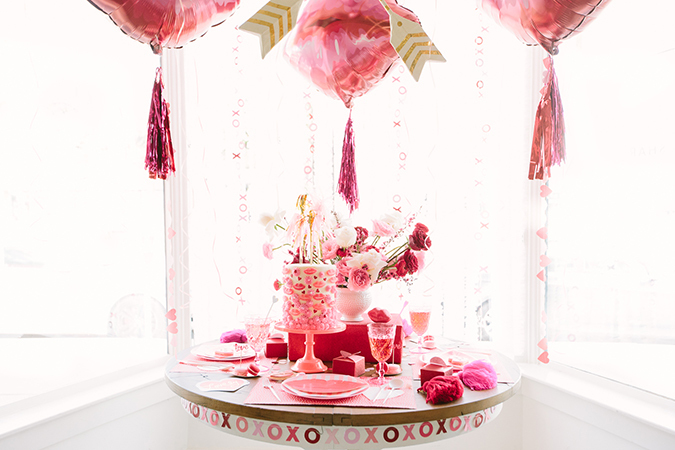 Then we layered on coral stripe plates and of course, the large and small lip plates. 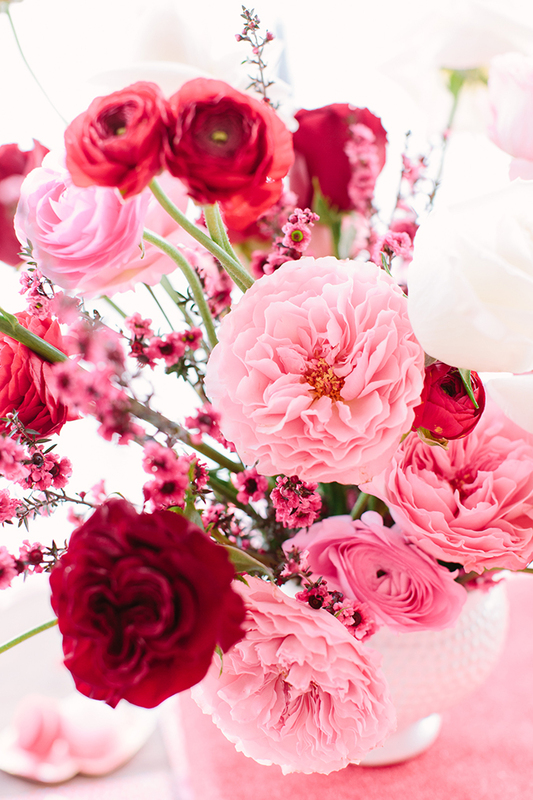 For the final floral touch, Earth Baby Flowers made the most gorgeous red, pink and white arrangement we have ever seen. ALL THE HEART EYES! 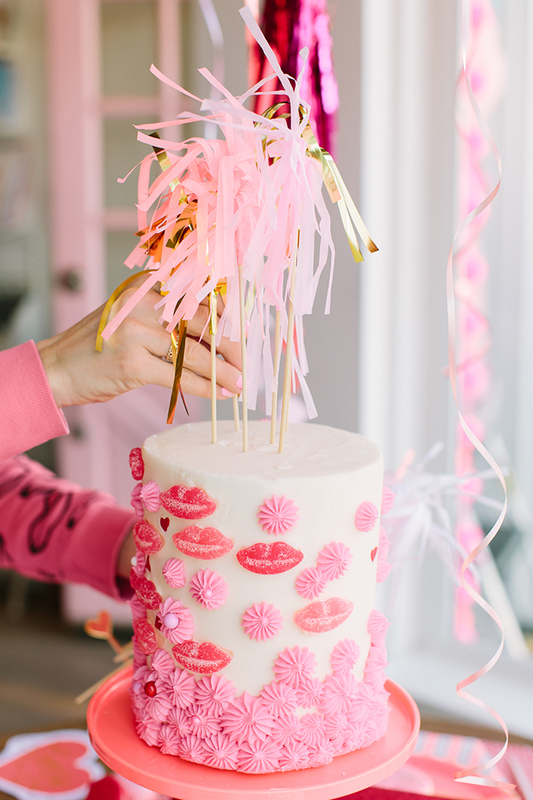 To decorate Lauren Lowstan’s delicious buttercream cake, we used Sugarfina Sugar Lips and Friends with Benefits Fancy Sprinkles to add a little extra fun to the sweet icing stars. 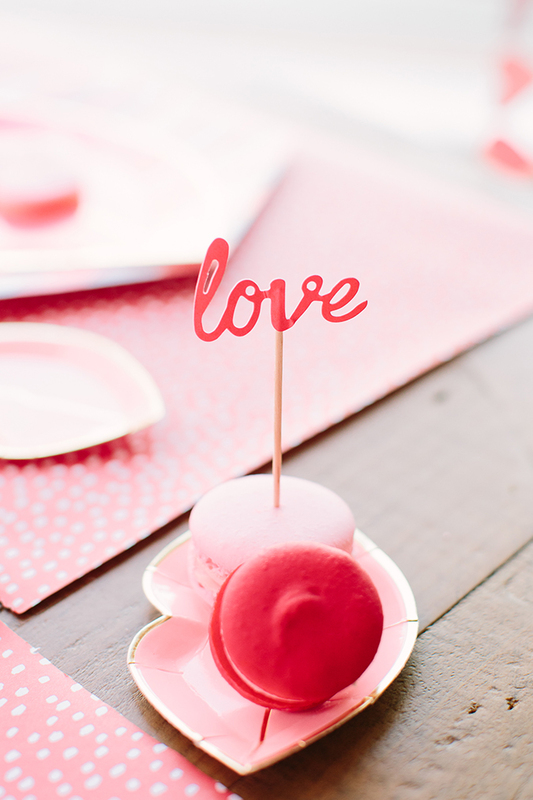 The macarons she made were the perfect pop of pink and red, and we added a touch more love to the mix with these cupcake toppers. 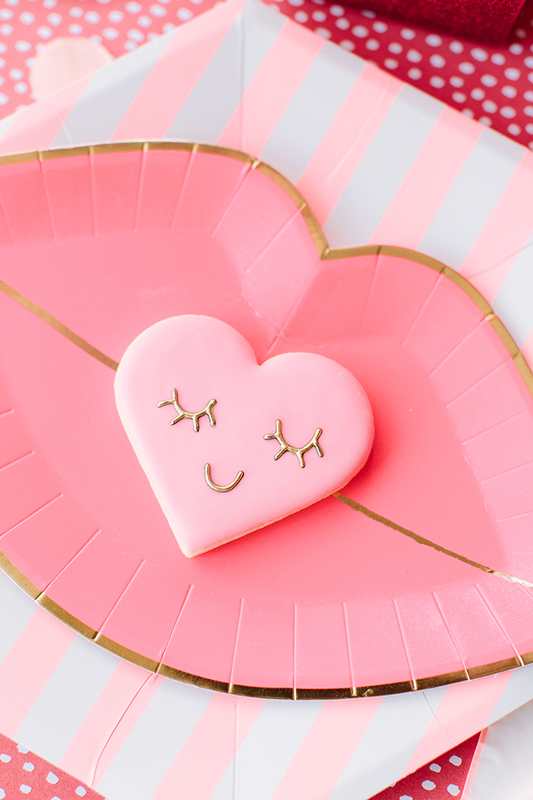 And, Star Bakes made the cutest sugar cookies in the likeness of the plates. 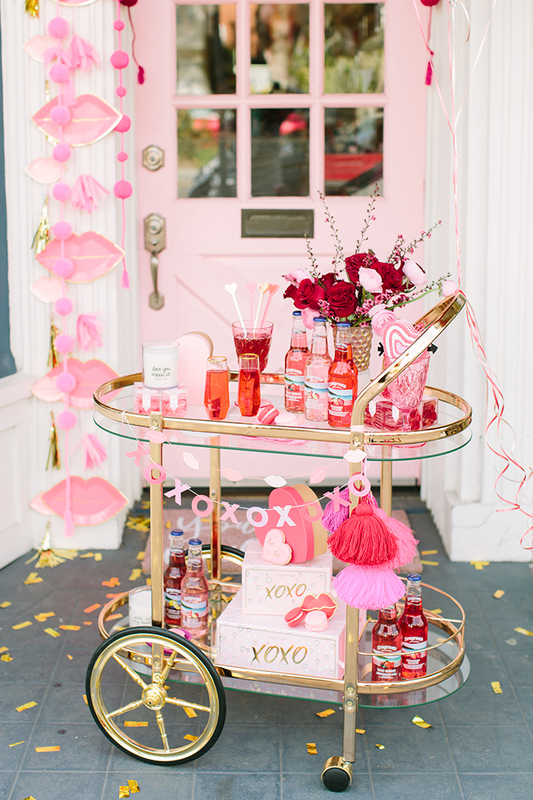 The bar cart setup was super punchy, with some delicious strawberry daiquiri beverages in our champagne flutes. 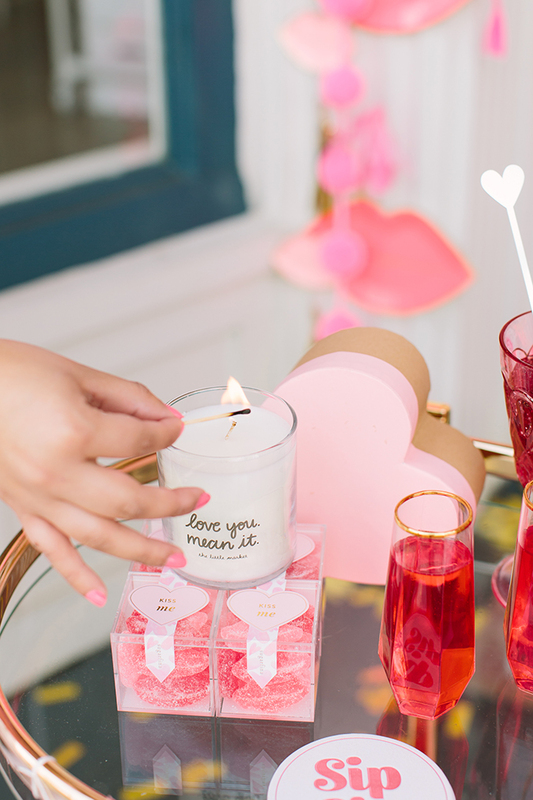 As far as extra decor elements, we added cubes of Sugarfina Hot Lips and Sugar Lips, fun ‘sip sip’ coasters and lipstick kiss cocktail napkins. 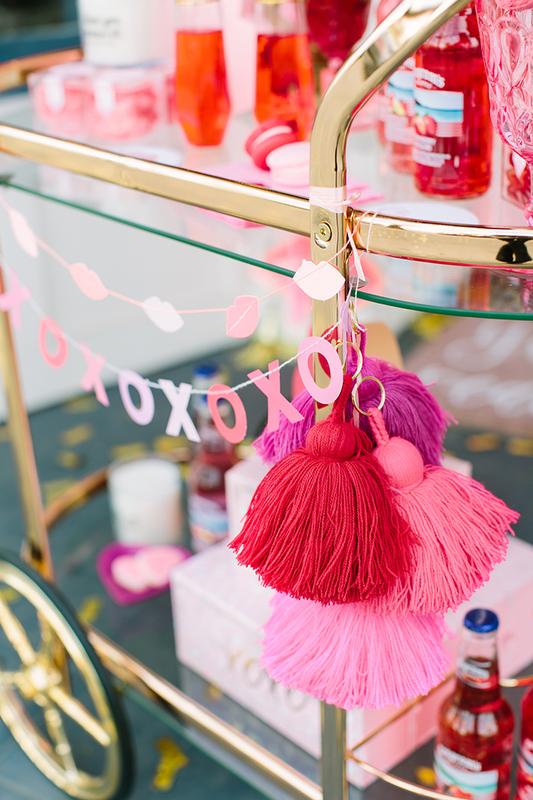 The Little Market sent over candles from their Valentine’s Day collection and tassel keychains, which we turned into bar cart flair! 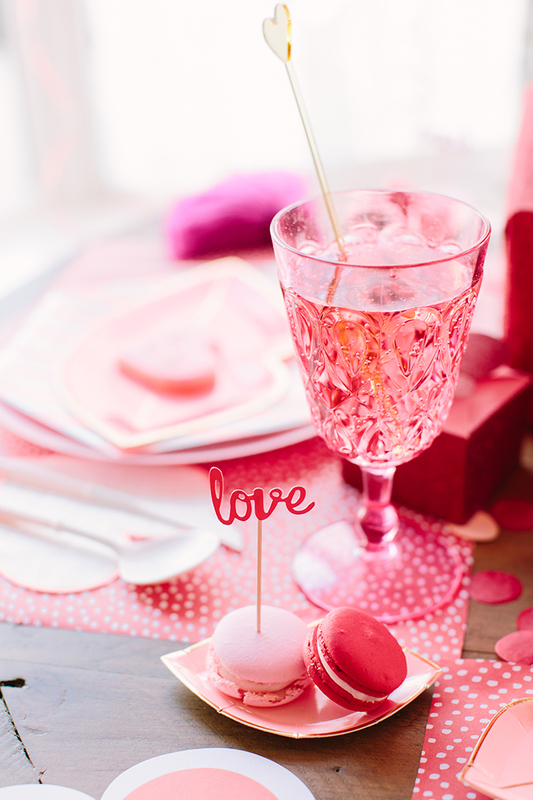 What do you have in store for Valentine’s Day this year? 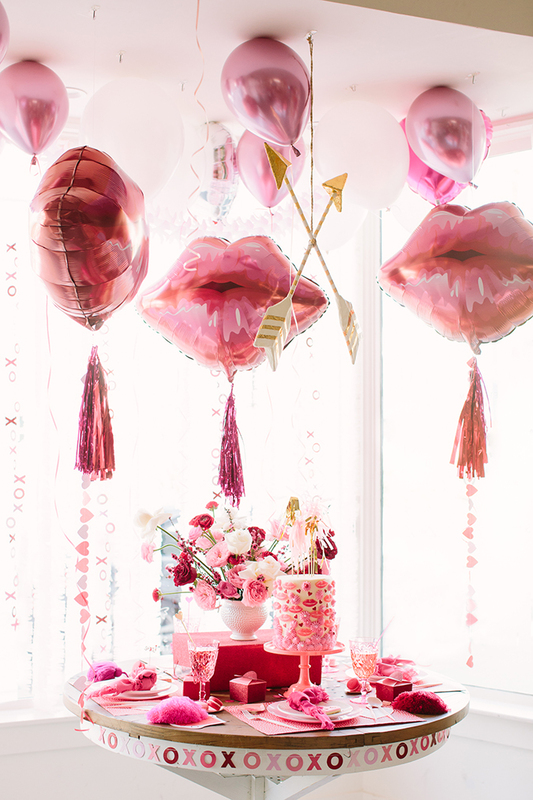 Will you be recreating this Lips Like Sugar pink and red party? Let us know in the comments below! 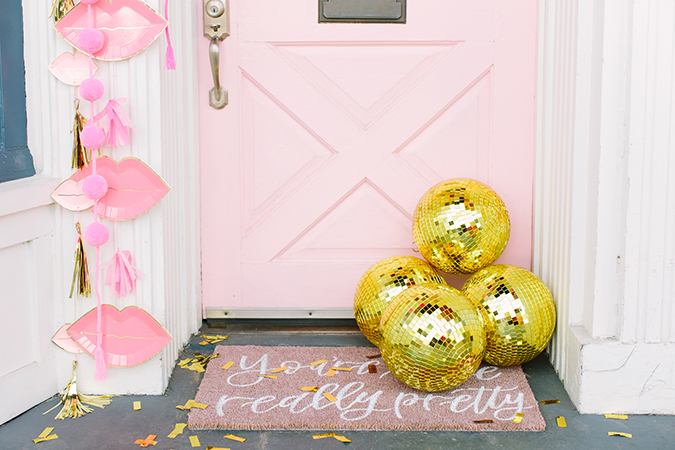 And thanks again to Rachel and Royale for collaborating with us on this fabulous party!